Aceh Peace Process At Risk in Indonesia? The peace agreement that ended a separatist conflict in Indonesia’s Aceh province in 2005 was one for the annals of successful conflict resolution. The 29-year civil war on the northern tip of Sumatra Island, pitting guerrillas from the Free Aceh Movement (GAM) against Indonesian army and Special Forces soldiers, had been one of Asia’s longest-running civil wars. Both sides were accused of gross human rights abuses, and many of the conflict’s victims were unarmed civilians. But the Indian Ocean tsunami on December 26, 2004 – which killed more than 170,000 people in Aceh – quickly brought the weary sides to the negotiating table. Less than eight months later, the Indonesian government and GAM signed an agreement in Helsinki that gave the rebels amnesty and the right to form a political party, as well as self-governance for the province, in exchange for the rebels’ laying down their weapons and accepting Indonesian sovereignty. Resolution of the conflict helped earn its chief mediator, Former Finnish President Martti Ahtisarri, the Nobel Peace Prize in 2008. So it is no wonder that multiple recent violent incidents have the country wondering whether the peace process is unraveling. Those incidents include the sabotage of a high-voltage power pylon on January 7, the Molotov-cocktail-bombing of the home of a candidate for district chief on January 10 that injured 13 people, and the still-unsolved shooting deaths of seven migrant workers in separate incidents last December. Although there have been no arrests in any of the incidents – and no firm proof the violence is related to political tensions – many analysts believe the timing suggests a link to upcoming provincial elections, which have already been postponed twice. 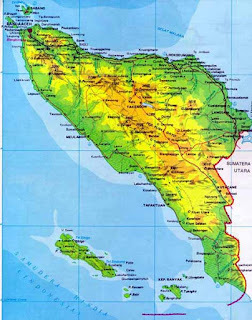 Chief among their fears: The possibility that Aceh’s former rebel movement, whose Aceh Party (or Partai Aceh) now dominates Aceh’s provincial legislature and political scene, may be violently turning on itself, with rival factions competing for power. “Our last report on Aceh was GAM versus GAM. The only fault was that it was too optimistic,” said Sidney Jones, senior adviser at the International Crisis Group in Jakarta, which issues reports on regional security issues. Government officials in both Jakarta and Aceh have denied that the violence is linked to elections there for governor and district chiefs, now scheduled for April 9. But local media reports of a sudden private meeting on January 16 between Indonesian President Susilo Bambang Yudhoyono and his former vice president, Jusuf Kalla, who together pushed through the 2005 peace agreement, to discuss the recent violence has raised skepticism about the official line. “They don’t want there to be recognition of an escalation,” said Kevin O’Rourke, editor of Reformasi Weekly, a private circulation political and business analysis newsletter. He said the government is trying to downplay the recent violence so that there won’t be calls by nationalist Indonesian politicians or army generals to send in soldiers, which would exacerbate tensions. Efforts to reach a government spokesman in Jakarta were unsuccessful. Many analysts believe the upcoming polls have revived old rivalries within the former rebel movement. On one side, they say, is incumbent Governor Irwandi Yusuf, a former GAM civilian spokesman and one of the founding fathers of the Aceh Party who split from its leadership a few years ago after long-running disputes over tactics and decision-making. On the other side, they say, is the former diaspora GAM elite who run the Aceh Party and support Malik Mahmud, who once helped run the movement from exile in Sweden. Mr. Yusuf and Mr. Mahmud are also known to have had serious differences over the years, Ms. Jones said. “There’s definitely a bickering element – animosity toward Irwandi Yusuf by the ex-GAM movement,” Mr. O’Rourke said. All that might explain why the national government in Jakarta, some 1,100 miles away, would want to wade into the dispute, which some analysts fear could lead to a bloody internal implosion of the now-defunct GAM movement and destroy the 2005 peace agreement. The Aceh Party had earlier in effect boycotted the elections by refusing to register candidates in protest that its rival Mr. Yusuf, who won the governorship as an independent candidate in 2006, was allowed to stand as an independent again. Indonesia’s Ministry of Home Affairs subsequently filed a lawsuit with Indonesia’s Constitutional Court to order Aceh election officials to reopen registration. The court obliged in a ruling on January 16, and the Aceh Party ended the standoff by using the new window to register its ticket for governor and vice governor, and sign up district chief candidates. “I think the calculation of the government is that this was necessary to preserve the peace process, and one of the reasons for totally capitulating to Partai Aceh is that if they, as the largest political party, refused to take part, the turnout would be below 50 percent, which would cause public anger and raise questions about the legitimacy of the process,” Ms. Jones said. Zaini Abdullah, a senior Aceh Party official and its candidate for governor in the upcoming elections, denied that the party had anything to do with the recent spate of violence, and said he didn’t believe the former rebel movement was violently turning on itself. “I think some have blamed us in the Aceh Party,” he said. But “we don’t have very much time to think about that because we have been blamed several times. This is not our aim, to kill somebody. We need to have peace, based on the Helsinki Peace Agreement,” he said. Efforts to reach Mr. Yusuf were unsuccessful. Either way, Ms. Jones said it was “absolutely critical” for Aceh police to investigate all the shootings and other acts of violence there in recent months, including murders and attacks dating back to July 2011. She said one theory is that the violence was aimed at forcing the elections, previously slated for December and then rescheduled for February, to be postponed until after Mr. Yusuf’s term ends on February 8, so he would lose his advantage as an incumbent. Mr. Yusuf will in fact step down February 8, and Aceh’s provincial legislature has submitted three candidates to become caretaker governor until after the April 9 election. Regardless, Mr. Yusuf is leading comfortably in the polls against Mr. Abdullah, the Aceh Party gubernatorial candidate, and is widely expected to be re-elected, making any such strategy seem moot. The party is also in danger of losing many of its district chief seats, according to analysts, given a general feeling among voters that their welfare has not improved since the Aceh Party won legislative elections in 2009. This entry was posted in Political Marketing and tagged aceh, internal conflict, irwandi, Partai Aceh, pemilukada by fakhrurrazi amir. Bookmark the permalink.